1) d'Amati, G., di, Gioia, C. R., Giordano, C. and Gallo, P. 2000. 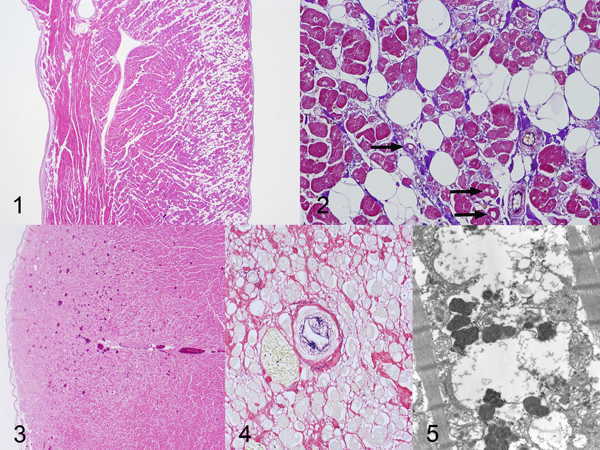 Myocyte transdifferentiation: a possible pathogenetic mechanism for arrhythmogenic right ventricular cardiomyopathy. Arch.Pathol. Lab. Med. 124: 287-290. 2) 町田登. 2012. 日本獣医循環器学会獣医循環器認定医プログラム 講座34 犬と猫の心筋症‐総論‐. Veterinary Circulation. 1(1): 78-81.